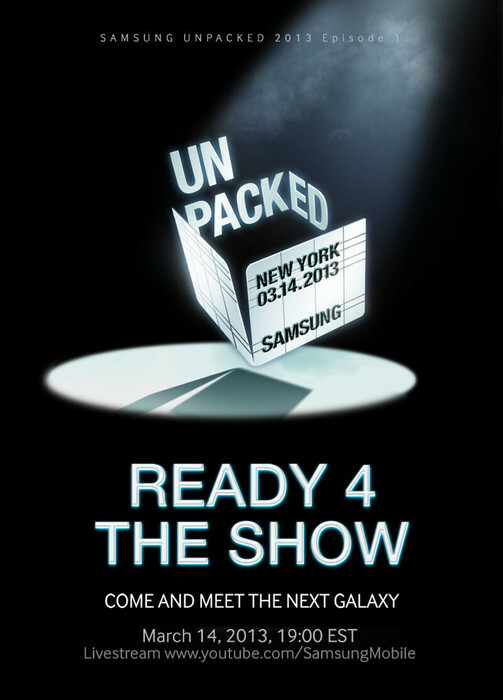 Samsung Galaxy S4 Coming Soon! Taking a jab at Apple, Samsung will unveil the next-generation of its flagship Galaxy smartphone in the big Apple itself, New York City on March 14. The announcement was made today at MWC. The launch is just three weeks away and would undoubtedly steal the shine from other Android competitors and other product launches in the coming weeks. It will be the first U.S. launch for the Galaxy in three years, company spokesman Chenny Kim said, and comes amid an advertising blitz there that has taken jabs at Apple fans. The Galaxy SIII was launched last year in London with sales proceeding in Europe shortly after the announcement. We should expect the same this year, and the new Samsung Galaxy S4 should commence sales from early April. This bodes well for US fans of the Samsung phone. Specifications of the Samsung Galaxy S4 have been rifed over the last few months and are expected to gain further traction in the coming weeks. The new Galaxy S4 is expected to launch with a 5″ 1920 x 1080 full HD display and a quad-core processor from Snapdragon alongside other upgrades to the camera. The hardware specifications itself seem comparable to its competitors such as the soon-to-be-launched HTC One and Sony Xperia Z and we would be keen to see how Samsung intends to differentiate the S4.